In a highly competitive industry, retailers need to remain up-to-date. A retail business won’t thrive unless key areas are met. From making sure you have the right products to a great social media presence, this checklist has it covered. Use your product sales data to review your range and determine which products are most popular. Can you add a wider range to your inventory? Do you need to retire stock with falling sales? Stay on top of your competitors. Watch your competition to make sure they haven’t launched new products, or found exclusive new suppliers which you can’t match. If they seem to be generating more sales than you, determine why. What are they doing and how can you address this? Complete a competitor analysis to understand what they are doing well and what you could do to offset these actions. Social media has progressed quickly, and that’s because platforms like Facebook, Pinterest and Instagram are effective and popular. Some of the top brands in Australia use social media as an integral part of their digital strategy. Marketing Eye has a report on the top 10 retail brands in Australia that lead on social media performance. Retailers are increasingly selling their products online to widen their distribution channel and to have a presence where there’s a market. Even if you can’t match overseas online prices, target those customers that will pay a premium to buy through an Australian based business. If you do sell online, invest in a responsive website, a great end to end user experience and have a planned online campaign to generate awareness. NAB’s eCommerce Merchant Account is a good option for businesses that sell online. On a local level, if your store is doing well in your current location, research the market in a different region. Document what makes your location work, then target similar areas with similar customers. Is there an obvious opportunity to open new stores? You might also consider entering the export market and selling your product overseas if you’re able to source locally made Australian products. NAB’s International and Foreign Exchange option offers assistance in foreign exchange and trade finance. With the current shift from bricks-and-mortar to online stores, IBISWorld’s report about online shopping in Australia provides key industry analysis and statistics. It also offers insights on market size, industry trends and market share. It shows how online retailing has changed the face of Australian retail, with a dramatic growth over the past five years. As a retailer, these are facts you shouldn’t ignore. Know your current strategy – what is it and is it working? Successful retailers continually review their marketing strategy. Keep up with how people are making purchase decisions, their sensitivity to pricing, and how they find out about you. You can do this through digital marketing, social media or direct marketing. It’s increasingly important to have a great digital presence, such as a responsive website to inform and educate customers about what you do. A digital presence can help raise the awareness of your business. You should consider Google Adwords marketing, an up-to-date Facebook page for your business or using Facebook call back request forms to generate leads. If they’re successful, what are they doing and what can you learn from them? The retail business is highly competitive. If you see your competition doing something that’s effective and successful, try to implement it yourself. But it’s important to see if you can improve on it to enhance your competitive edge. Advertising works when you know which customers you’re targeting, rather than a scattergun approach. Determine your ideal customer and what their needs are by using NAB Business Explorer. Then make sure what you offer is designed to address their need. Can seasonal issues affect your business, like school terms and holidays? Coordinate your promotion and product purchases with events that are planned during the year. Develop a calendar that captures any excuse to get in front of customers, from sports events, local celebrations, to public holidays. Just because you have competitors doesn’t mean you can’t work with them to attract more people to your location. Or you can work with another business to gain more customers together. Either from social media or from your customers, if you get great feedback, use the comments as testimonials on your website. If you’re seeing complaints, use them to turn a negative customer experience into a positive one. And make sure you have processes, and a person, in place to handle feedback early and effectively. Connecting with your customers– is essential. And nothing is growing faster in communication than social media. According to Web Chameleon’s review of what Australian people and businesses are doing with social media, 64% follow businesses on social media. If you’re purchasing a range of different products for your inventory, it’s important your system is effective and efficient. It’s also important that it’s easily understood by your employees so you can manage your cash flow and stock levels. Always document the inventory you receive, and check for defects or incorrect delivery. If you are constantly returning product, then it’s time to search for new suppliers. Even small retail businesses should automate between the till and what’s being sold, and your inventory levels and what you have left in stock. It will allow you to use ‘just in time’ ordering to keep your inventory to a minimum without running out. NAB EFTPOS – solutions for on-the-go and in-store payments. It’s the most common way to pay in a physical store, and if you deliver products to your customers’ homes, there’s also on-the-go options as well. If you have customers that have credit accounts, NAB Direct Debit allows you to debit funds straight from your customers’ accounts. This reduces the amount of time you spend chasing up late payments. Plus, if you pay your bills promptly, you’re going to develop a better relationship with your suppliers. Automating your payments and setting up direct debits with NAB Business Cards means you’re reducing the stress, hassle, and administrative burden. A good accounting system is crucial for a retail business and comes in handy at tax time. You can monitor cash flow, transactions and inventory, develop a customer database, and keep up to date with your bills and payroll. A cloud-based accounting system offers increased security, as well to the ability to check your financial data in real time. Most can be used on your smartphone as well, making it easier to update your records. Xero, Reckon and MYOB are great options for retail businesses, and you can integrate them with your NAB Business Everyday Account. There’s also a number of retail specific software add on products that integrate with your accounting software. Provide training to employees to keep up-to-date with the products you’re selling, and to offer an outstanding customer experience. One of the main differentiators for a retailer is customer service, in a world where the customer can buy most products online. Create a system to go that extra step, know your customers by name, be involved in the local community and anticipate customer needs. If you find yourself with products that aren’t selling, and running out of those that are, you need a better inventory system. Invest in inventory management software to see on a daily basis what is happening. Understanding best practice when it comes to the workflow of retail operational processes is essential. 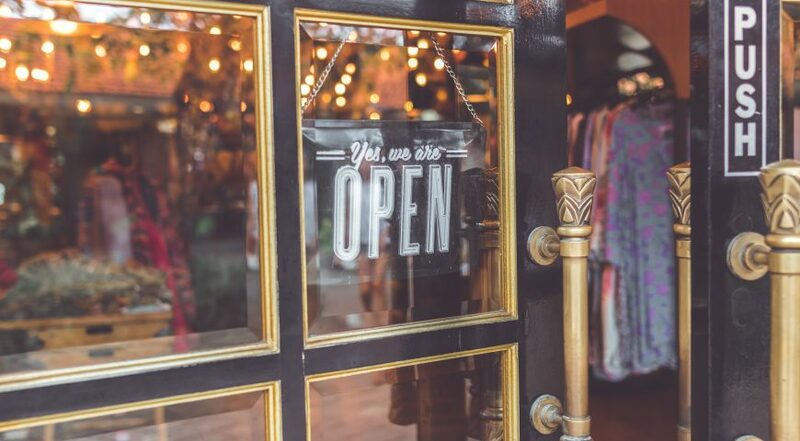 The Small Business Chronicle has some tips on the basics, such as purchasing, inventory, customer service and accounting. Are you getting more sales than you can handle? If your business has queues outside the door, and you can’t keep up, you need to find a solution. Larger premises, more staff, longer opening hours, more cash registers, or mobile payments to prevent queuing are all options. Regularly check with staff about the amount of work they have, to prevent errors within the business or providing a less than ideal customer experience. If you find you’re flat out but not making profit, it’s time to review your break-even point. One way of addressing this is by lowering your overheads, raising your prices, and focusing on selling higher margin products. You’ll find you need to sell less to make the same money. Increasing your cash flow to grow your business can be as easy as using NAB’s Business Overdraft option. It links to your NAB Business Everyday Account, and has no set repayment schedule, so you can pay when it suits your cash flow. If you only need a short-term cash injection consider a NAB QuickBiz Loan. This is to make sure that your forecasts are on track, so that you can use them to continue to predict sales and make decisions based on them. If your sales forecasts are inaccurate, it’s time to review how you predict sales and costs so they’re more realistic. Keep an eye on things like fixed costs, to make sure they’re not going over budget. Review your overheads – rent, power, internet, etc. – and if they’re more than you expect, look at ways to reduce them. For instance, if your store is in a shopping mall, chances are you’re paying prime commercial rent. Do your sales justify it or would you be better in a cheaper location? Every retail industry has ‘accepted’ mark-ups for products. If you’re not achieving industry norms, look at ways you can increase your margins. Increasing price, targeting less price sensitive customers, widening your product range to cover better margin product will all help. High percentage of sales and high profit margins – look after these customers, keep in contact and they are priority one. High percentage of sales but low profit margins – consider a price increase to raise your profit margin, and make sure these customers are easy to deal with and don’t take you away from your priority one customers. Low percentage of sales but high profit margins – focus your marketing and selling campaign to gain more customers like these. Low percentage of sales and low profit margins – these customers can be the least attractive and if they are taking you away from better prospects, try and reduce these where possible. There are lots of KPI’s that can affect retail businesses. Some stand out more than others in terms of the competitive advantage they provide, as well as helping to monitor sales success and performance. Gain Insights has a guide to the Top 10 KPI’s in retail. Be social media savvy. Successful retailers are finding more ways to be in contact and connect with customers. Keep in contact with your customers – from updating what the business is doing on Facebook, to blogging on popular retail topics, to posting photos of new product releases on Instagram. Build a personalised experience. By using your sales data and customer contact information, build a one to one personal relationship with your customer. It’s not only good business for you, but customers appreciate you understanding and anticipating their needs. Use customer sales software. Build a profile of your customers, enrol them to receive your e-newsletter, develop a customer loyalty scheme, or start rewarding them based on their purchases. Make buying from you a rewarding experience. Be aware of customer trends. Research what’s happening to the demographics of your customers; are they part of the baby boom market (born 1946-1964) who are all approaching retirement? Or are they younger teens? Or parents with children under ten? Each will require you to be aware of what they want, how they want it, and how they want you to sell to them.